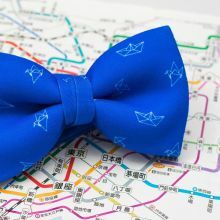 As with the knot of a bow tie, you can make planes, ships and paper cranes by folding and folding and folding... 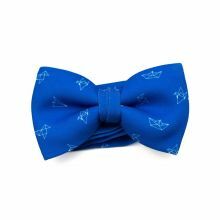 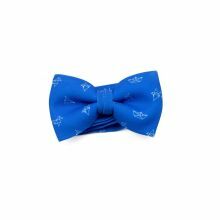 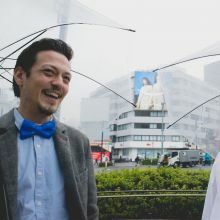 This bow tie, inspired by the endless shapes of Japanese origami, comes in electric blue with outline drawings of origami. 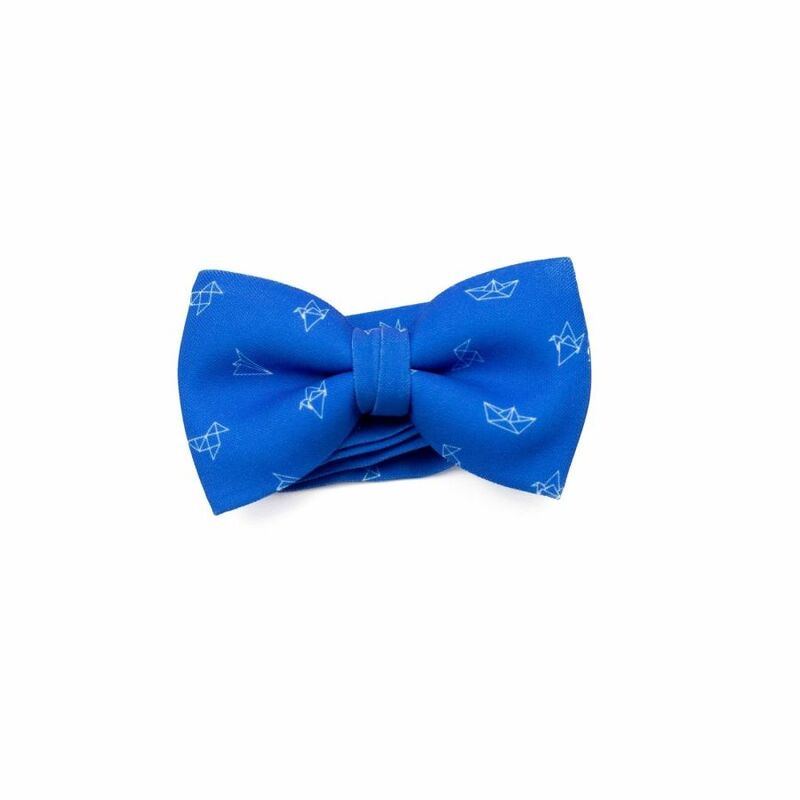 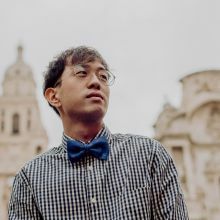 The Origami Bow Tie was designed by Colton Foster for the Asian line and was created with our 100% polyester Burlington fabric to give it a casual look.